Creating a title with a Mission Impossible theme. 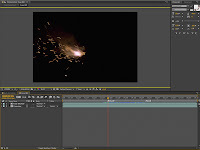 On my demo reel I used a lit fuse to transition from each line of text. This week we'll discuss how those transitions were created. 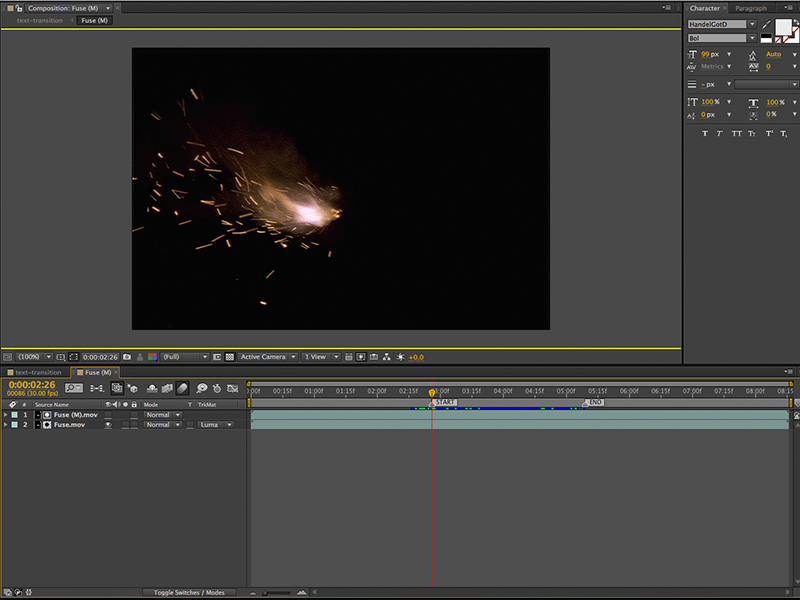 This effect was done in Adobe After Effects using one piece of footage - the video of the lit fuse. The fuse I used was a royalty-free clip I purchased from the Artbeats website. The clip comes as two files the actual fuse movie and a black & white matte movie. The first thing I do is create a comp of the fuse with an alpha channel. Do this by importing both movies, selecting them in the project, right-clicking on them and selecting "New Comp from Selection...". When the dialog box appears, make sure that "Create Single Composition" is selected. The Fuse (M) comp set up with a transparent background. 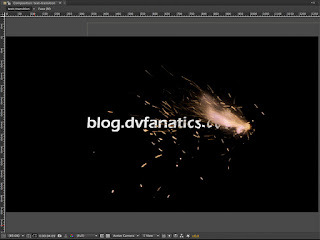 This will create a comp that is the same duration and dimensions as the clips selected. In the case of this Artbeats clip, the resolution is standard definition (SD) 720x486. The action of the fuse also travels in the wrong direction - from right to left instead of left to right. This can be corrected by selecting both clips in the new comp, "Fuse (M)" in my case, right-clicking on them and choosing "Transform > Flip Horizontal". After flipping both the matte and the fill, it's time to give this comp a transparent background. To add transparency, I choose Luma Matte "Fuse (M).mov" as the Track Matte for the Fuse.mov layer. The main video we're creating is a 720p composition that is 6 seconds long. Since the fuse is only available as SD, it has to be adjusted to use in the 720p composition. I prefer not to scale the fuse clip up to 720p, so I will keep it at it's actual size and move it across the 1280 pixel wide screen. Fuse action START and END Markers. The first thing I need to do is add a Marker to the frame of the fuse where it is almost fully on screen, which is almost 3 seconds in. 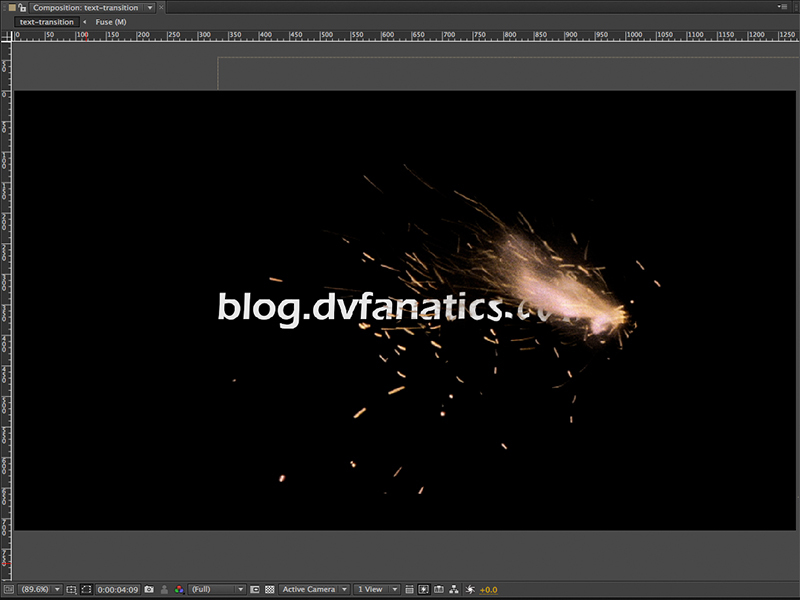 I add another Marker to the frame of the fuse where it is just about to go off screen - a little more than 5 seconds. The usable area of the clip is about 2 seconds long - a perfect length for the transition. Make sure neither layer is selected when the Markers are added, this will set the Marker in the Time Ruler, making it visible when this comp is added to the main comp. Next week we'll discuss building the main comp of the text transition using the lit fuse comp we just built, in Dissecting the Video: Mission Impossible Text (Part 2). Above is what the finished effect looks like and below is how this technique is used in my demo reel. Absolutely, these days I always wear eye protection.